The Japanese animation studio ufotable, which was among other things responsible for various “fats/”-animes, enjoys a good reputation with most anime fans and is regarded as one of the best studios in the industry. But now the studio is under suspicion of tax evasion, as the Japanese digital magazine “Weekly Bunshun” reports. On 12 March 2019, the Tokyo Regional Taxation Bureau ordered a search of the offices of ufotable, which was part of a major investigation of companies suspected of tax evasion. The locations searched include the company’s cafés at Kōenji and Tokushima, which also sell merchandise, as well as the Shimoigusa studio. 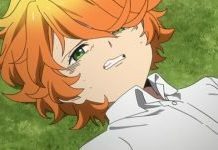 The report states that Hikaru Kondo, the founder and president of ufotable, is said to have directly received part of the revenues from the studio’s merchandising sales. However, no charges were brought against Kondo or ufotable. For exact details, Weekly Bunshun contacted the Tokyo Regional Taxation Bureau, which did not want to provide any information on the case. Even on a direct request to the animation studio ufotable founder and president Kondo did not respond. 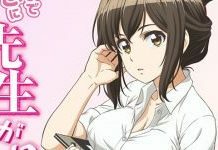 From a reliable source, however, the magazine is said to have learned that Kondo had confirmed the suspicion to the authorities. Hikaru Kondo founded the studio ufotable in the year 2000, which today is mainly known for the anime adaptations of type-moons “Fate/” franchise, like “Fate/Zero” and “Fate/stay night: Unlimited Blade Works”. 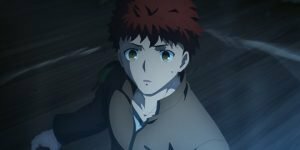 Currently ufotable is producing the third part of the “Fate/stay night: Heaven’s Feel” film series as well as the upcoming anime series “Demon Slayer: Kimetsu no Yaiba”, which starts on 6 April on Japanese television.